The British Broadcasting Corporation (BBC) has agreed to pay damages to Ukrainian President Petro Poroshenko over a report making allegations of corruption. The report specifically claimed a €350,000 payment was made to secure a meeting with US President Donald Trump. This claim "was untrue," the BBC said. In a statement released on Thursday morning, the BBC apologised to the Ukrainian president. 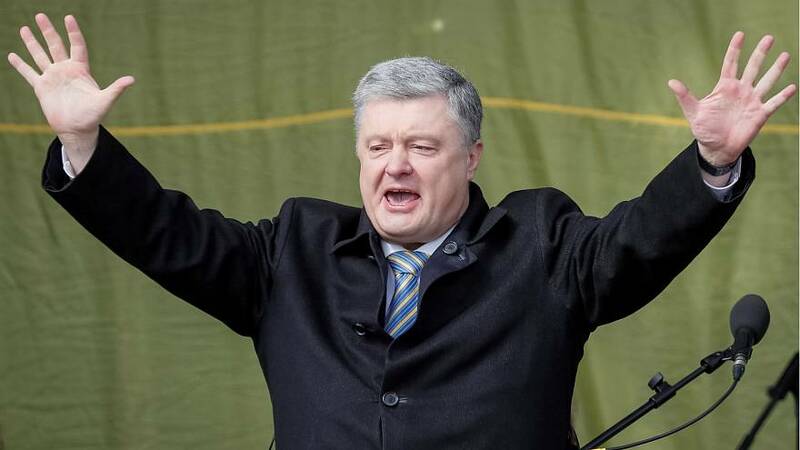 "We apologise to Mr Poroshenko for any distress caused and have agreed to pay him damages, legal costs, and have participated in a joint statement in open court," the BBC said. Poroshenko filed the claim in September, saying the allegation of "serious corruption" had caused him "substantial distress and embarrassment." Ukraine is set to go to the polls this weekend in the country's presidential election. Poroshenko is among the three frontrunners, which also include former prime minister Yulia Tymoshenko and actor Volodymyr Zelensky. Zelensky, who is known for playing the role of Ukraine's president in a television series, is currently polling in top spot. READ MORE: How do Ukrainians feel about the upcoming election?